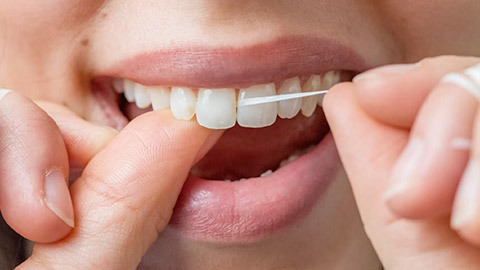 While daily brushing and flossing can help maintain a healthy smile, regular appointments with one of our friendly dental hygenists is a vital part of ensuring that your smile stays healthy. Regular check-ups allow your dentist the opportunity to detect and treat any problem areas before they become serious issues. During the appointment, one of our friendly dental hygienists will “scale” your teeth - a process that will remove any excess plaque and tartar from your teeth. The scaling process can also remove any minor stains, keeping your teeth looking bright. The hygienist can determine if your daily dental care routine is effective and suggest any changes that may be necessary. Once the cleaning is over, the dentist will look at your teeth and check for signs of any potential problems, including oral cancer. If there are any concerns we are equipped with the ability to conduct in-depth screening and biopsies, allowing us to properly diagnose the issue and plan for the necessary treatment. When it comes serious dental health problems, early detection is your best defence. Keeping your smile looking bright and healthy is an easy thing to do. Regular cleaning appointments will help ensure that your teeth stay that way. If you are in need of a cleaning or just a general check-up, call to book your appointment today. If you need more information about Oral Hygiene/Cleaning in Toronto, contact us today.